China and Brazil's relations have been characterized by an 'imperfect interdependence' thus far. How will that change going forward? Last April, Brazilian and Chinese Foreign Ministers met in Brasilia to launch the ‘First Strategic Global Dialogue’ between the two countries. Sino-Brazilian strategic dialogues would now be held annually, providing China and Brazil the occasion to regularly meet and reassess their common agenda. In a year when Brazil and China celebrate 40 years of diplomatic relations, a kick-off meeting of this kind bodes well for the future of their relationship. Despite the distance, Brazil and China have grown remarkably closer in the last decade. Economically, there seemed to be a sort of ‘natural interaction’ between China’s export-focused, industrialized economy and Brazil’s economy which has been primarily an industrial commodities provider. Quite naturally, then, trade flows between the two giants rose from $6.68 billion in 2003 to over $90 billion in 2013, making them the biggest partners within the BRICS. Since 2009, China has replaced the US and become Brazil’s main trade partner. Likewise, Brazil has been in China’s “top 10” partners list for some years now (7th in 2011, 9th in 2013) and is one of the key destinations of Chinese foreign direct investment (FDI). Yet, cooperation between the two countries has gone well beyond mere trade and investment, encompassing areas such as education, agriculture, biofuels, nanotechnology and satellite technology. Politically, Brazil and China have also strengthened their links, promoting, inside or outside the BRICS (Brazil, Russia India, China, South Africa), a common agenda on issues of global concern, from development cooperation to international financial regulation. However, as solid as their relationship may seem, current trends in both countries may seriously challenge what once seemed like a ‘perfect match’. 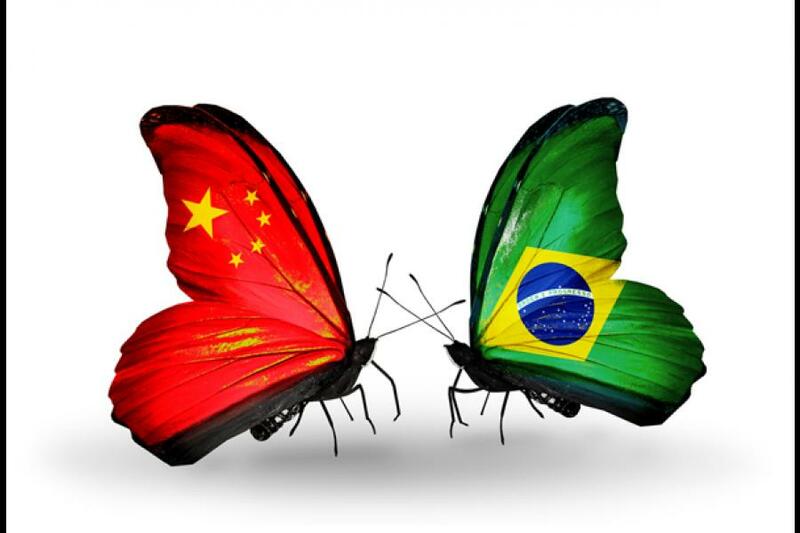 China and Brazil are now being called to face their own (economic) dilemmas and the result of such a revision may lead to a progressive cooling off of their relations–and possibly not only economic ones. How to secure long-standing and stable growth? For China, at least since 2013, the answer should be found in its domestic market. Partly pushed by the global economic context, China has recently started a revision of its macroeconomic policies and, accordingly, of its growth model. As part of this revision, state investments should now prioritize programmes to stimulate household consumption and job creation, moving away from the focus on industry and infrastructure. Chinese authorities should moreover promote a gradual liberalization of exchange and interest rates, which could lead to an appreciation of the yuan, which could have important consequences on the prices of Chinese products, domestically and at a global level. Officially announced by Chinese authorities, these measures have been positively received by analysts who believe they should bring greater transparency and predictability to the Chinese economy. They should moreover open new opportunities to countries like Brazil, whose companies would finally be able to compete with China not only in its domestic market, but also in Latin America, where they have been losing ground. Hence, all seems like good news to the world, in particular to Brazil. Even if there is some truth in this analysis, existing challenges, in Brazil but also in China, may prevent Brazilian companies from seizing the opportunities offered by this Chinese ‘transition’. While the number of Chinese companies (and investments) in Brazil has been on the rise since 2010, Brazilian companies (with a few exceptions, like Embraer, Vale, Votorantim or BRF-Brazilian Foods) have been struggling to enter the Chinese market, considered too closed and difficult to penetrate. Brazilian authorities (and private sector) see this gap as problematic, and would expect China to be a bit more welcoming to Brazilian business. Beyond the most evident barriers (linguistic, legal, infrastructure, etc.) they meet when trying to access the Chinese market, Brazilian industries also face important domestic limitations. Among these challenges are Brazil’s complex legal framework, excessive bureaucracy, heavy tax system, poor infrastructure, low-skilled labor force, high inflation and interest rates. Coupled with the lower growth rates of the last few years, these challenges have been increasing the so-called “Brazil cost”, and hence considerably impairing the competitiveness and global reach of Brazilian industries. Just like China, Brazil is also at a decisive moment when it needs to reconsider the foundations and orientation of its economic model. Yet, while China should strive to invest less and spend more, Brazil needs to shift from a model that privileges domestic consumption, to one in which investment and production are placed at the center. For both countries, the challenges are huge and will imply (internal) struggles, political will and long adaptation periods. China has so far managed to sustain growth while implementing reforms. In Brazil’s case, on the other hand, despite the government’s attempts, appropriate set of measures that meaningfully boost competitiveness and integration of Brazilian companies into the global market have yet to be found. However, as most analysts point out, without consistent, long-term strategies to tackle such a challenge, there are few chances that Brazil will be able to improve its economic performance–and hence benefit from China’s transition. This seem all the more pressing since commodity prices (that represent nearly 80% of Brazil exports) should progressively decline in the next years, negatively affecting Brazilian trade flow and economic results. To Brazil, the next years (and political decisions) will be decisive in defining if the country will resume growth or, at best, remain at standstill. Time (and timing) may however make things more complicated. In a year when Brazil is not only hosting a World Cup, but also holding general elections, it seems unlikely that much progress will be made on that front. Delaying is however dangerous as it may only increase the challenges the country will need to face later on. An example is the current situation of Brazil’s energy system. An unusual and prolonged drought, coupled with technical difficulties, may soon lead to an unprecedented crisis in the sector. Projections of Brazil’s National Electric System Operator point that Brazil should have only 17% of water in its reservoirs by November (when the dry period finishes), which is very little. For a country that relies heavily on hydroelectricity, the situation is alarming. Urgent measures are needed to prevent a possible supply shortage but, given the current context, these are likely to be postponed to after the October elections. The situation is, however, already affecting business, investments and industries’ planning, as they cannot know what the energy prices will be in the future. In any case, sooner or later, energy prices will rise, affecting the “Brazil cost”, or the cost of doing business in Brazil, and hence Brazilian industries’ competitiveness. Another important consequence of the Chinese macroeconomic reorientation is a progressive reduction of China’s demand for natural resources, particularly those used in heavy industries and infrastructure. Even if public expenditures in the industrial sector remain high, a slower expansion of investments will still be challenging for producers of industrial commodities (such as iron ore) considering the volume of Chinese imports and its impact on global prices. Countries that used commodity revenues to invest in their productive sector should be able to adapt and, as observed, even benefit from this Chinese shift. Those that have used commodity savings to increase internal consumption without promoting fundamental changes in their productive (industrial) capacity should however be quite challenged by the Chinese ‘turn’. And this seems to be the case of Brazil. In 2013, industrial commodities represented nearly 35% of Brazilian exports to China. In that same year, China bought about 24% of Brazilian agricultural products and nearly half of the country’s soybean production. A possible slowdown in commodities import by China may not be alarming in the short or medium terms, but can become a serious problem in the long term. China shift towards a more consumer-based economy imply also a considerable change in its foreign investment policies. For some years now, Chinese investment strategies are no longer limited to the extraction and acquisition of raw material in developing countries. Counting on greater participation of the private sector, China has been increasingly focusing on areas such as technology and real estate, particularly in developed–and politically (and legal) stable–countries. Brazil remains an interesting destination for Chinese FDI, but after reaching a peak in 2010 ($13.7 billion), Chinese investments in the country seem to be in decline. It does not mean that the situation will not change in the future, but for the moment, Chinese investors seem to be looking for other places to invest. Again, if in the short term the Chinese shift towards more stable and profitable markets, it is not really worrying. But in the longer run, it may become quite problematic given the importance of Chinese FDI in the Brazilian economy. For some years, a kind of ‘imperfect interdependence’ has characterized China-Brazil relations. Particularly after 2010, Brazil has grown strongly dependent upon Chinese demands and investments. Though less vital, China’s reliance upon Brazilian commodities has also become more important. While their models seemed complementary, both partners tended to boost each other’s growth. Yet, as China is now changing its course, things may become more difficult for Brazil–but also for China-Brazil relations. Brazil is currently at a crossroads and needs to tackle important domestic challenges to improve investment levels and the international competitiveness of its industries. This is all the more important so the country can seize the opportunities offered by the expected expansion of the Chinese domestic market. On the other hand, as Brazil’s role as a commodity provider should become less important in time, China may also need to rethink the place (and weight) it wants Brazil to have as a ‘strategic partner’. A possible disengagement of Brazil-China economic bonds could have a considerable impact on other areas of their (political) cooperation and hence on the future of their ‘Strategic Global Dialogues’. More than simply facing their own dilemmas, in the next years Brazil and China will also need to rethink the kind of partners they want to become and the way their partnership can still be mutually beneficial and strategic. The risk of not tackling these issues is that, instead of growing together, as they used to, they could grow increasingly apart. Any Freitas is a political scientist and policy analyst specialized in Brazilian foreign policy (focus on South-South and Brazil-Africa relations). She has worked for different international organizations and research institutions such as UNESCO, the Council of the European Union, and the European Union Institute for Security Studies. Any is currently Visiting Research Fellow at King’s College (Brazil Institute) and Associate Professor at Sciences Po (France). Brazil’s share in Argentina’s imports (its main trade partner in the region) has fallen from 36.4% in 2005 to 24.8% in the first two months of 2014. China’s participation has risen from mere 5% to 18.4% on the same period, slightly overtaking the European Union (18.2%).By Renata Agostini, ‘China abocanha fatia do Brasil nas importações da Argentina’, Folha de São Paulo, 19 April 2014. From France and the UK, to Portugal, Spain and US, Chinese investments in the global real estate market rose from $3.5 billion in 2012 to $8 billion in 2013, mostly concentrated (80%) on commercial properties. ‘Chineses compram tudo’, Isto é Dinheiro. In 2011, the amount dropped to $8.63 billion and $3.45 billion in 2012. ‘China Has Soured On Brazil’, Business Insider, 1 November 2013.